For my Greeting Farm Guest DT post, please click HERE or scroll down. Thanks! Happy Tuesday! 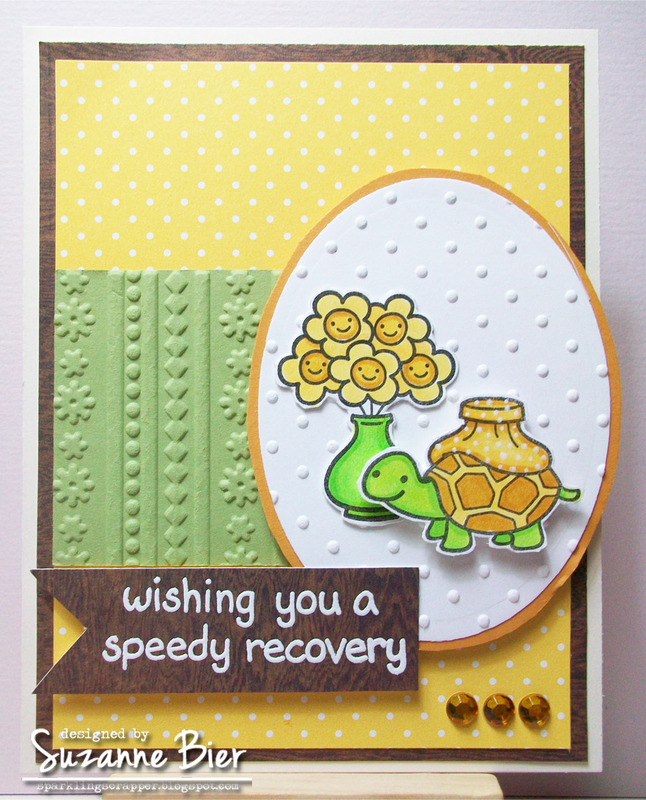 Thanks for stopping by to look at my card for this week’s colourQ challenge! 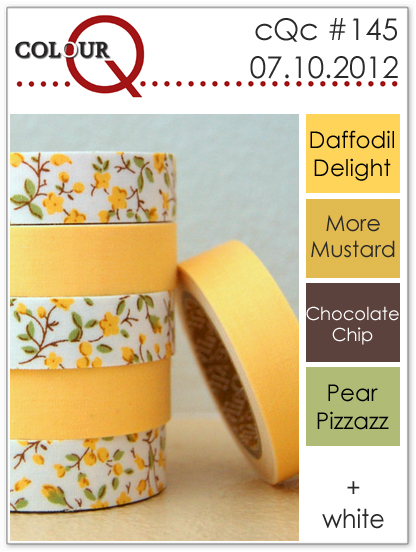 Supplies: image and sentiment stamps (Lawn Fawn – On The Mend), polka dot paper (aMuse Studio), woodgrain paper (Basic Grey – Life of the Party), embossing folders (Sizzix), card stock (More Mustard, Pear Pizzazz – Stampin’ UP! ), foam tape, adhesive rhinestones, Copic markers (YG11, YG21 – vase, turtle body; YR23, Y21 – turtle shell, ice pack; YR23, YR24 – flower centers; YR23 – flower petals), opaque white marker, watermark ink (VersaMark), opaque white embossing powder, card base, Spellbinders oval die. Those images are so cute Suzanne, great card!